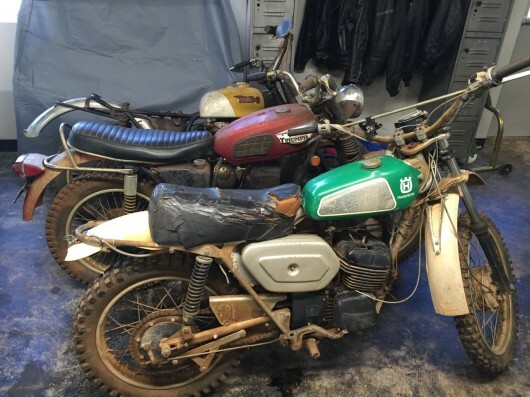 Up for sale is a set of three vintage motorcycle projects. The BSA is a late 60’s single cylinder. Stuck engine but everything is there, clean tank. The Triumph is most likely an early 70’s 250 Trophy, no engine/trans but all else is there. Clean tank. The Husqvarna is an early 70’s two stroke. The engine spins freely and has compression. We have not tried to get it to start yet. $2600 for the lot of three bikes. Feel free to email with questions or to arrange a time to see them.